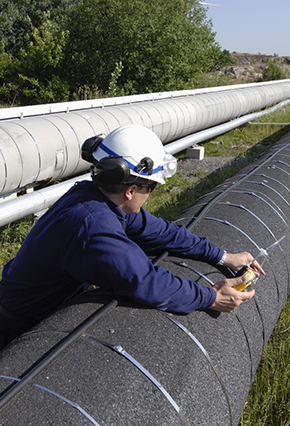 PHMSA offers training on gas and hazardous liquid pipeline safety regulations. On May 29, the Government Accountability Office released a report finding that the Pipeline and Hazardous Materials Safety Administration (PHMSA) has not adequately planned for future workforce needs with respect to the inspection of interstate pipelines to ensure that the agency is effectively deploying federal and state resources. The report recommends that PHMSA develop a workforce plan for interstate pipeline inspections that is consistent with leading practices in workforce planning, and consider the additional resources and safety oversight that state pipeline officials can provide. On May 30, the Department of Transportation’s Office of Inspector General (OIG) released a report evaluating PHMSA’s Pipeline Safety Research and Development (R&D) Program. OIG found that the program addresses the agency’s mission and goals, but that PHMSA (1) is missing opportunities to increase R&D forum attendance and lacks written guidance for using forum results; (2) lacks complete written guidance for managing conflicts of interest; and (3) lacks written guidance for follow-up processes. OIG recommends that PHMSA develop a policy and procedures to increase stakeholder participation; incorporate R&D forum results into the program’s plan; complete the conflict of interest process; follow up with researchers on benefits and uses; and employ best practices to improve future biennial reports to Congress. OIG’s evaluation was required by the Protecting Our Infrastructure of Pipelines and Enhancing Safety (PIPES) Act of 2016. PHMSA Rulemakings Update. The tables below summarize the status of PHMSA’s pending pipeline safety rulemaking initiatives. The Office of Management & Budget’s (OMB) Office of Information and Regulatory Affairs (OIRA) released its Spring 2018 Unified Agenda of Regulatory and Deregulatory Actions. Since May, DOT has referred to the Unified Agenda in lieu of releasing a monthly Significant Rulemaking Report. PHMSA requests comments on renewal of information collection requests. On June 7, PHMSA issued a notice extending the comment period for three recent information collection requests previously issued on March 26. The first information collection, which expires June 30, relates to the requirement that LNG facility operators maintain records, make reports, and provide information to DOT. The second information collection, which expires July 31, relates to the requirement that operators maintain records demonstrating compliance with operator qualification requirements. The third information collection, which expires August 31, relates to the requirement to report underwater pipelines in the Gulf of Mexico that are exposed or pose a hazard to navigation. Comments are due July 9. PHMSA schedules R&D Forum. PHMSA will convene the next Pipeline Safety R&D Forum on September 11-12 in Baltimore Maryland. Registration information is here. PHMSA is accepting applications for State One-Call Grants. On June 20, PHMSA announced that it is accepting applications for 2018 State One-Call Grants. The opportunity is available only for state agencies that have a §60105 certification or a §60106 agreement with PHMSA pursuant to the Pipeline Safety Act to perform pipeline safety inspections. Grant applications are due July 20. The Grant Opportunity number is DOT-PH-PHP-18-OC. PHMSA is accepting applications for State Damage Prevention Program grants. On June 20, PHMSA announced that it is accepting applications for State Damage Prevention Program grants. The grant is available to any State authority that is or will be responsible for protecting underground pipeline facilities from excavation damage, as long as the State participates in the oversight of pipeline transportation pursuant to an annual §60105 certification or §60106 agreement with PHMSA. Grant applications are due July 23. The Grant Opportunity number is 693JK31841A0001. PHMSA is accepting applications for Technical Assistance Grants (TAG). On May 22, PHMSA announced that it is accepting applications for TAG grants which are awarded to local communities and groups of individuals to fund technical assistance projects related to pipeline safety. Grant applications are due June 29. The Grant Opportunity number is 693JK31842A01. PHMSA’s Voluntary Information-Sharing Working Group will meet August 23. PHMSA has announced that the Voluntary Information-Sharing (VIS) Working Group will convene a public meeting on August 23 discuss and identify recommendations to establish a voluntary information-sharing system. Topics addressed by the VIS Working Group include requirements of section 10 of the PIPES Act of 2016, integrity management, data types and tools, in-line inspection methods, geographic information system implementation, examples of existing information-sharing systems and safety management systems. The meeting will be held at DOT’s offices in Washington DC. Information on the meeting will be posted here. On July 1 Senate Enrolled Act 125 becomes effective, establishing new responsibilities and requirements for certain underground utility excavators and underground facility operators. A contractor registered to do business in Indiana must submit to the Indiana Secretary of State’s office a signed statement of compliance with Indiana’s Call Before You Dig” Law. Utilities and communications service providers must receive proof that an excavator is registered to do business in Indiana and has signed the required compliance statement. The Indiana Utility Regulatory Commission has published a handout that summarizes the changes to the Indiana Code. Introduced on May 30, Senate Resolution 373 would establish a bipartisan, bicameral legislative commission to recommend safety, oversight, and interagency coordination improvements for the transport of oil, natural gas, and other hazardous liquids by pipeline, and develop and promote legislation in furtherance of its recommendations. The resolution was referred to the Environmental Resources and Energy Committee and reported as amended on June 12.